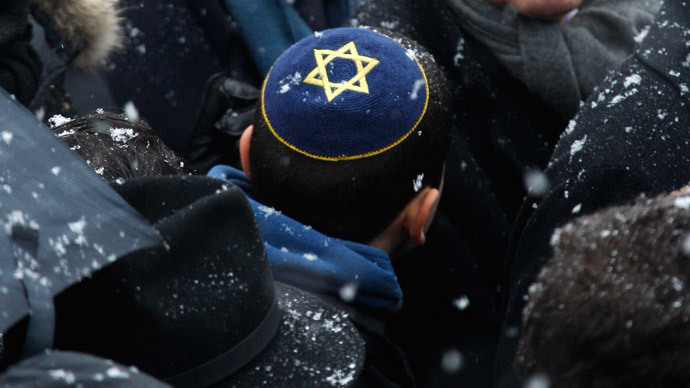 A rabbi has filed a complaint for “humiliating” discrimination at a polling station in the French city of Toulouse after a clerk told him to remove his kippa, or Jewish skullcap, to vote in local elections. A polling clerk from the Left Front coalition urged Toulouse rabbi Harold Avraham Weill to remove his kippa, citing French laws. The incident happened last Sunday during the first round of nationwide polls held to elect local councils. Strict French rules on secularism apply to “ostentatious” religious symbols, such as Jewish kippas and Muslim headscarves worn at schools and universities, but they exclude the times when they are used as polling stations. Human rights watchdogs across France have been warning of the danger of increased anti-Semitic and Islamophobic attacks, fueled by January’s terrorist shootings in Paris. The Observatory Against Islamophobia said in February that the first month of this year had seen more anti-Muslim attacks than in the whole of 2014. On Tuesday, a pregnant Muslim woman had to be taken to a Toulouse hospital as a result of an attack by an unknown man, who apparently reacted to her wearing a veil. In February, Israeli Prime Minister Benjamin Netanyahu urged European Jews to immigrate to Israel, warning: “Once again Jews are murdered on the soil of Europe just for being Jews. This wave of terror attacks is expected to continue, including these murderous anti-Semitic attacks.” His call followed the shooting outside a Copenhagen synagogue that left a Jewish Danish man dead.